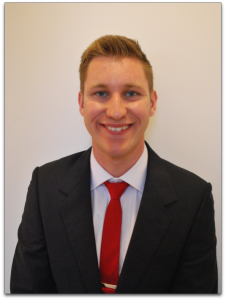 Josh Rigby is a Policy Specialist and Research Assistant who has worked for The Education Partnership since 2011. During this time Josh has worked on projects for over sixty different colleges and schools, ensuring policies and procedures are in place and in accordance with the latest legislation and best practice. Josh’s research role has involved providing data and draft papers for the Education Partnership. His policy specialist role has also included preparing draft documents in readiness for the initial and final registration inspections of schools and to enable proprietors to apply for a material change for their school. Josh is currently working as the Year 6 Leader and as Head of New Technologies at a large Primary Academy in Hampshire, having gained a First-Class Honours as a specialist PE primary school teacher at the University of Winchester, graduating in 2014. Josh is also currently studying for an MA Education at Winchester. Josh had previously worked as the Lead Instructor for the Scout Association in the New Forest, providing residential activity programmes for schools, colleges and voluntary organisations. This is a role which Josh continues to provide support for on an advisory basis. As part of working for The Education Partnership, Josh has published work alongside Bill Brown and Jake Anders on the benefits of taking education into the outdoors. His personal interests include climbing and mountaineering and spending time with his wife and young son, George.